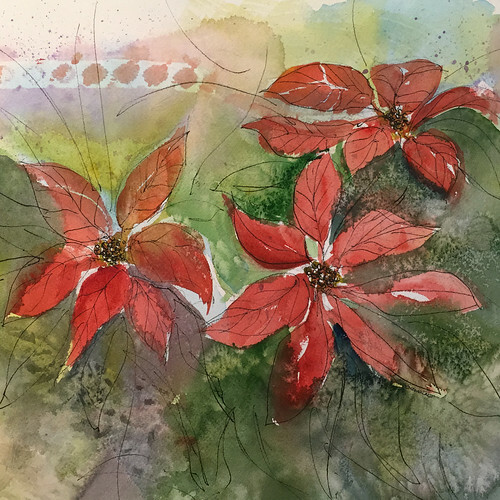 Used a section of this abstract watercolor of poinsettias (inspired by a workshop I took at the Pacific Art League in Palo Alto) for our holiday card this year. Hope everyone has a relaxing holiday and a very happy new year! Love the poinsettias! Have a wonderful holiday and enjoy the new year!